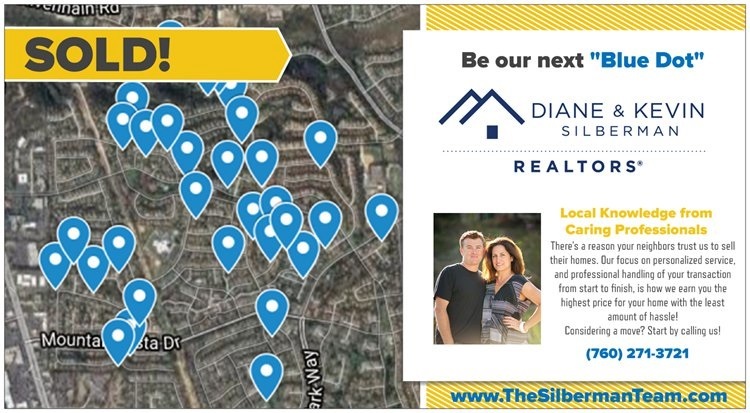 There's a reason your neighbors trust us to sell their North County homes. Our focus on personalized service, and professional handling of your transaction from start to finish, is how we earn you the highest price for your home with the least amount of hassle! If you're considering a move, we help you decide which projects are worth tackling and which are best left to the next owner. We provide you a punch list of what to do to make your home sell it's best and have an arsenal of service providers to get any work done within your budget. We don't believe "Coming Soon" marketing is in our client's best interest. Our marketing strategy is to showcase your home to the masses in the very best light... from the very first moment! Pricing a home right is key- in EVERY market. That's where our local knowledge and successful track record is most evident. We enjoy formulating a real estate strategy to suit our clients individual needs, and look forward to hearing about yours! Give us a call and be our next "Blue Dot"!